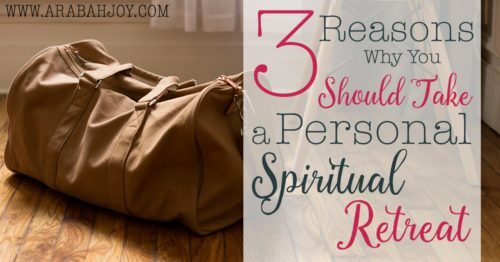 Do you take regular spiritual retreats? In our day and age, we talk a lot about taking breaks, getting away, and serving ourselves. deserve it” kind of thing we hear about all the time. Neither am I talking about a girl’s night out, a trip to the spa or attending a women’s conference. Not even talking about a daily quiet time. Do you regularly make time for this kind of retreat? 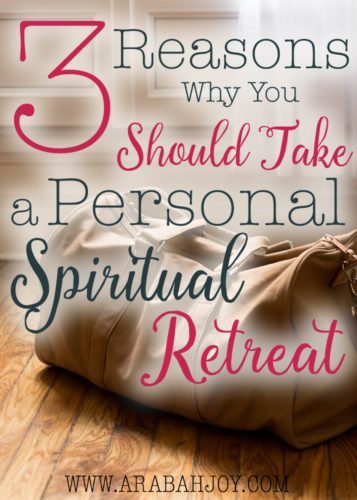 I’ve discovered these retreats (as difficult as they are to pull off) are necessary in order for me to stay in a place of dependence upon the Lord, to deeply refresh my spirit, and to maintain a sense of well-being which enables me to serve my family and community. Jesus *frequently* retreated to a solitary place. From His life, we see how important it is to make these times happen. He would even go without sleep to make sure He got away with His Father. If the Son of God needed to make sure He got alone with His Father, we certainly need it! We simply can’t rest and replenish our souls when we are on the go all the time, multi-tasking, constantly bombarded with noise, always having someone in our face, and always on call. As I’ve developed this habit, I’ve adopted a few practices to make the most of my time and truly connect with the Lord. Earlier this year when I prayed about how I could serve this community, I was convinced to share how I do my monthly retreats. 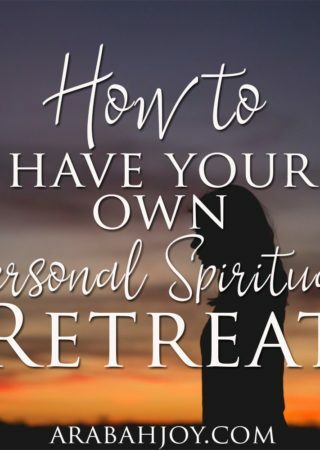 I’m so, so happy to share the result: this DIY Personal Spiritual Retreat Kit!! 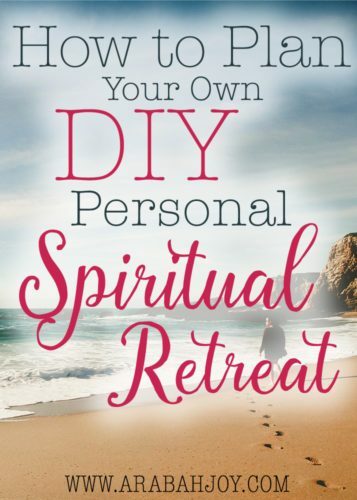 The 21-page kit will walk you through contemplative, diagnostic questions, a time of confession, the Lectio Divina method of reading and meditating on scripture, and a time of clarifying and articulating what the Lord is speaking to you…everything you need to have your very own personal retreat. I’ve been working on this little project for WEEKS and am sooo happy to share it with you! 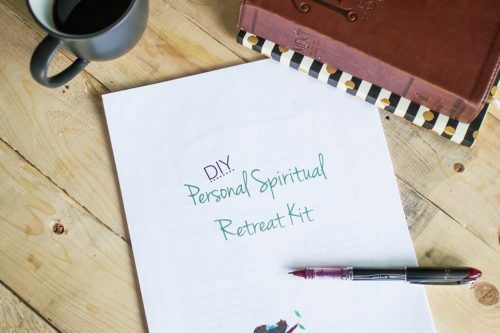 You can grab the DIY Personal Spiritual Retreat Kit right here.
? 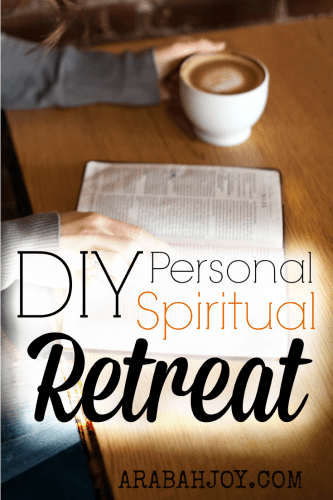 Arabah Joy, am I able to purchase only the DiY spiritual retreat? I don’t have a need for the homemaking bundle really at this time…. Pray for German translate and Hope! Tried to purchase. Link not working. Goes to 404 error message. I am on a home PC. My word is intentional. I want to make God an intentional part of my day but to do this I must be intentional. I must plan to start my day with Him no matter what is going to happen. If that means getting up earlier than I must set my alarm to be sure He get my attention before doing anything else. Thank you for reminding me to RETURN to that practice.